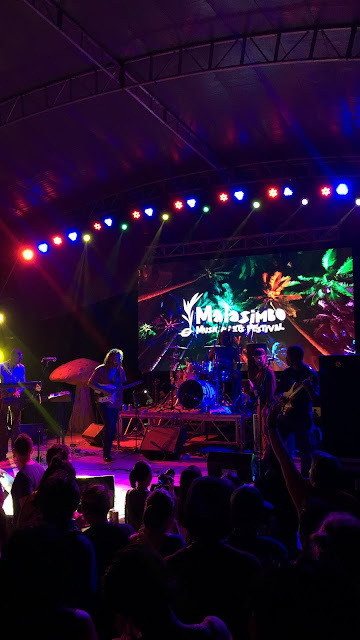 Malasimbo Music Festival is already on its 8th year but it was my first time to attend this event last Saturday. I really didn't know what to expect. I just trusted my friend that it's gonna be a great experience and it was. The 3-day music festival is annually held at Mt. Malasimbo in Puerto Galera. So if you're attending this event, you can stay at White beach or the quieter areas like Aninuan and Talipanan. 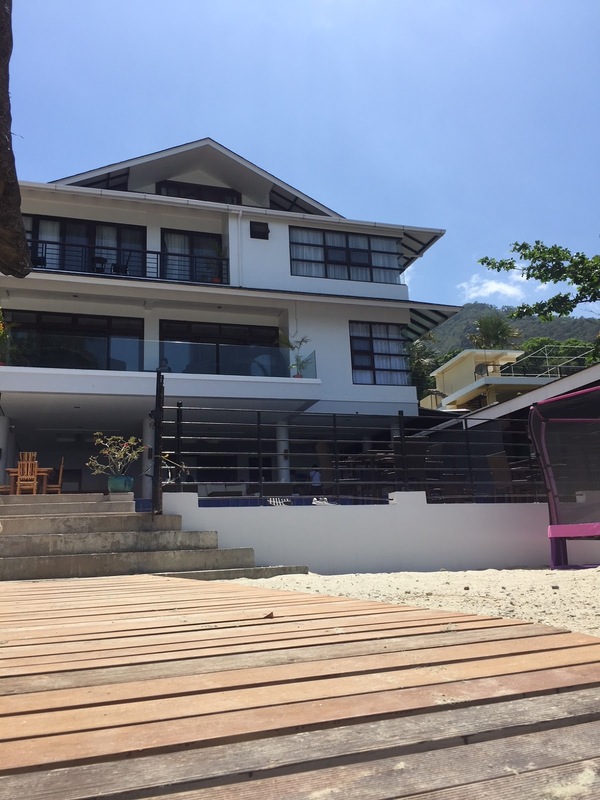 We stayed at Veronica's Inn in Talipanan. We stayed there with a big group (the other friends of my friend) but since my husband and I are only attending the festival for one day, we didn't travel with them to and from Puerto Galera. As per staff's instructions, we bought RT tickets (600 pesos each) at the Minolo Shipping Lines counter at Batangas port1. Boat docks either at White Beach or Muelle. There are also other shipping lines which ply that route with the same price but they do not offer free shuttle service to Talipanan. Terminal fee is 30 pesos each. I was too preoccupied that time as I was on the phone talking with my aunt while securing tickets so I let the terminal "staff" assist us with the bookings and all. We paid a total of 1200 for the tickets and 110 for the 60 pesos terminal fee to get a 50 change. But the terminal "staff" didn't return it and assumed it is his service fee. Hayst. He was even forcing us to buy a gallon of drinking water for 180 telling us that it costs 300 on the island. But we didn't give in. Anyone could have done it on their own and it wasn't our first time going to Puerto Galera either. I could've happily given him a tip if I really opted to be assisted but it was "pilit". Anyway, it's just 50 pesos but still annoying to be somehow fooled. Our tickets were for 12:30 trip but we managed to get into the earlier one. We docked at Muelle port because the strong waves made it impossible to dock at White beach. Before leaving the terminal, we paid 50 each for environmental fee. The free shuttle2 took us directly to Veronica's Inn and we met our friends who arrived there an hour earlier. Veronica's Inn was a good choice as the beach front property has nice rooms, pool, billiard table, and bar. They also offer all day meals so we didn't have to look for a restaurant during dinner. It is perfect for big groups and families with kids. We also met the owner, Ms. Veronica who was there the whole time attending to our needs - from serving our food/drinks or assisting with transportation for the music festival. Rooms start at 2000 for 2 persons and comes with free breakfast served at 8-10 only. We were not aware of this as I wasn't the one who booked the rooms. We only found out about it when we got down for breakfast at 11am. What's funny though is that we still ordered breakfast meal and paid for it. Now let's talk about Malasimbo. Glad that we chose Saturday as we are able to watch Big Mountain perform live (and honestly they're the only group I know from the 2018 line up). Hihi. I also enjoyed the performance of drum and bass duo Hernandez Brothers and it was also our first time to experience silent disco. What I didn't like though about the festival is that there's a minimum amount of 500 for the food/drink coupons. While it's valid for 3 days, what about those who are just attending for 1 day and just wanted to buy a 50 peso bottled water? 500 is already more than enough for me and my husband as we already had our dinner prior going to Malasimbo. But the Adobo Rice Topping is good, in fairness. We just gave our remaining 200 credits to our friend so it won't go to waste. It rained during the performance of Big Mountain with I-Dren Artstrong (who was also good) but it didn't stop us from dancing and singing to their songs. We left the place at almost 2am with the song Baby I Love Your Way playing in my head on repeat. Lol. 1 To get to Batangas Port, you may take Jam Liner bus (Fare is 167) at LRT Buendia or any bus line going there. From those in the north, you can take Alps Bus from Cubao Terminal. If you're in a big group, you can hire a van just like what our other companions did. 2 The shuttle picked us up at Veronica's Inn to Muelle port. We just asked the hotel staff to call Minolo Shipping when we checked out.